When I was told that we are going to Oak Room Restaurant & Bar for dinner, I did a search on the web and I realized that it is located at the Hotel Royal in Newton. 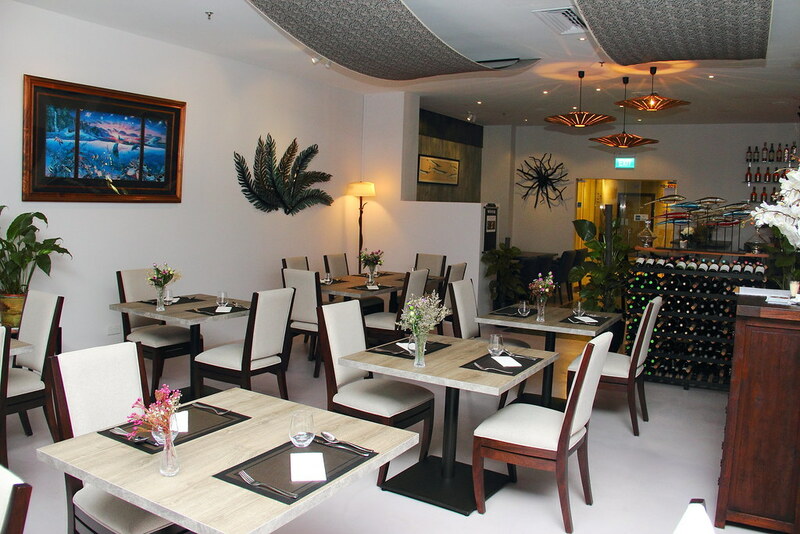 I have to admit that I have not heard of the hotel and not to mention the restaurant located on level 3 of the hotel. 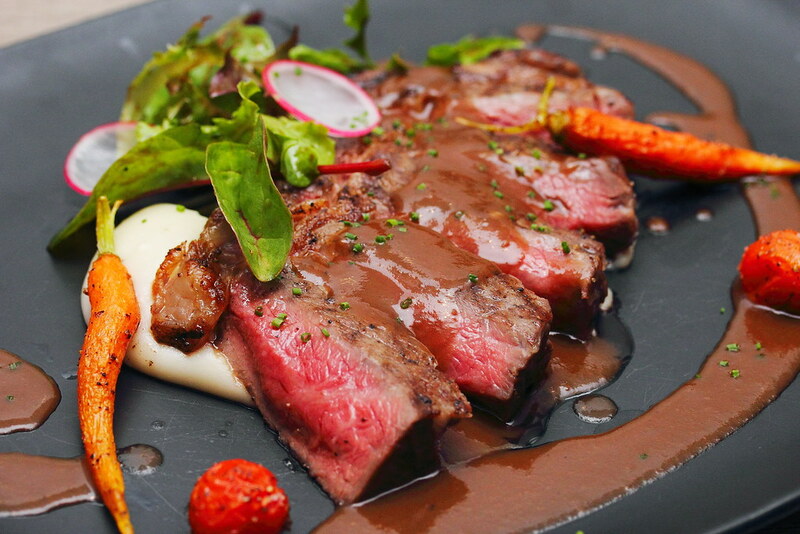 The restaurant which used to be at Bukit Timah is helmed by Executive Chef Darrence Wee before relocating to its current location in July 2016, offering modern European cuisine. Stepping into Hotel Royal is like being transformed into the 80s. The decor of the hotel seems to be stuck in time. 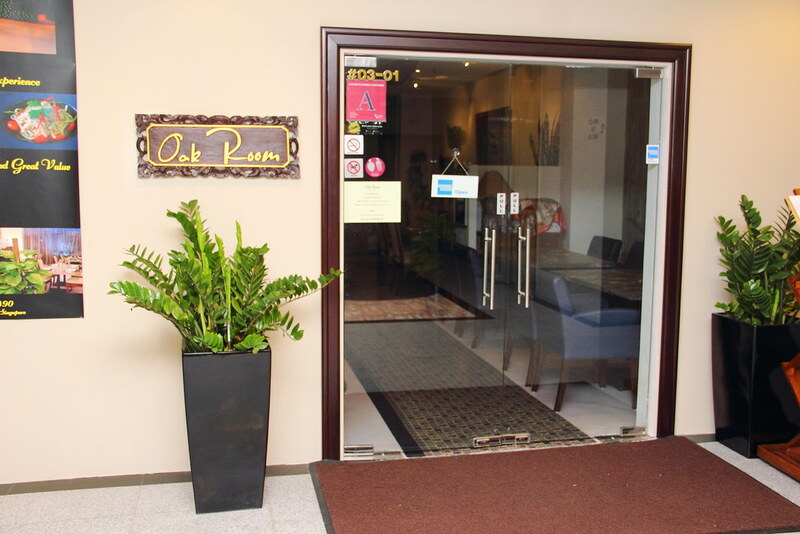 Worried not as Oak Room Restaurant & Bar welcomes you with a warm, cosy ambience in a modern setting. Dinner at Oak Room started on the bright side with a delicious Lobster Bisque ($18). 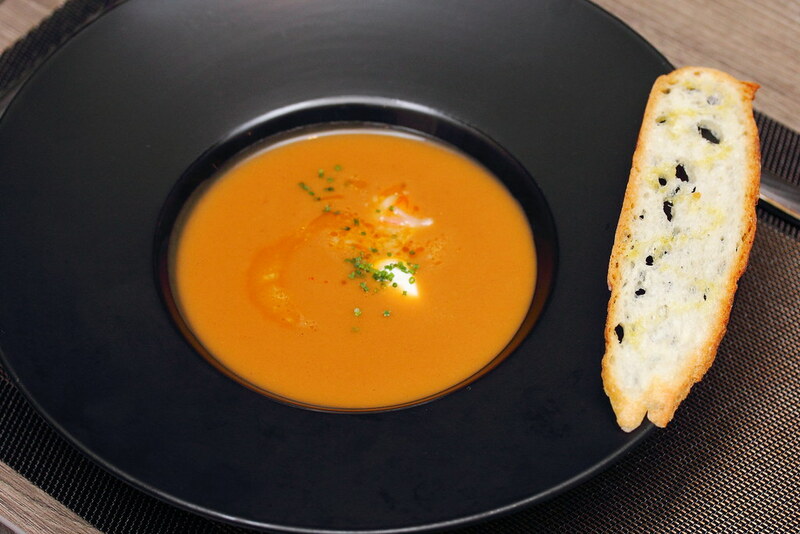 The bitter sweet crustacean flavour shone through the creamy and robust soup. Next we had the Jamon Serrano ($28). 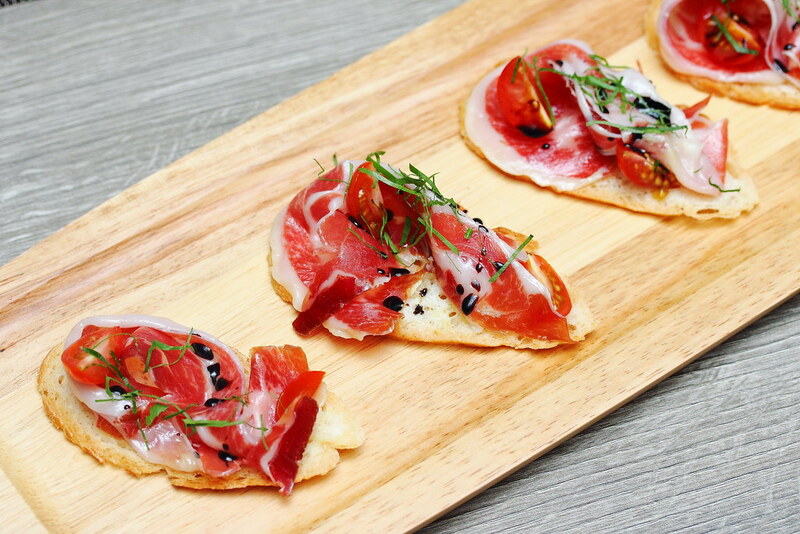 The parma ham which is aged for 18 months is further dried by the chef to intensify the flavour. This is beautifully paired with tomato and a few drips of balsamic. As my dining partner does not take seafood, the chef was kind enough to do an off the regular menu item from the Chef's Table 8-course menu. 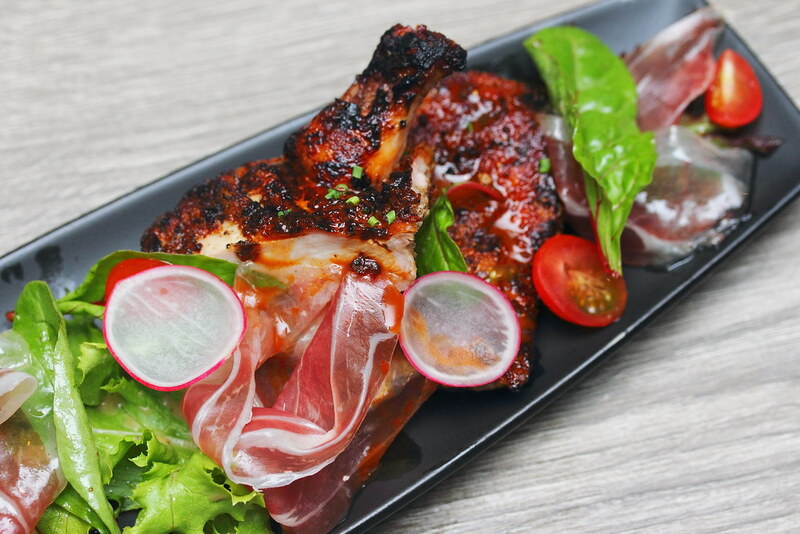 The Grilled Spring Chicken paired with parma ham and tomatoes was juicy and tender, However the highlight is the cajun rub on the chicken that make it a notch different from the rest. 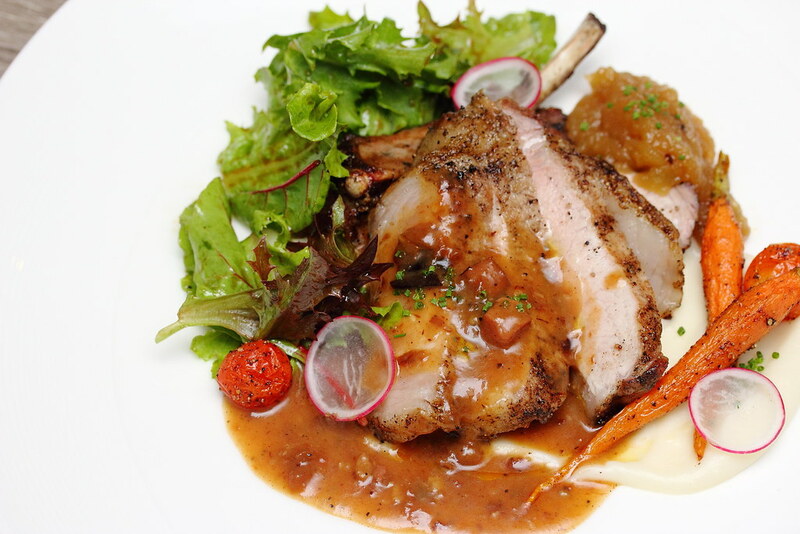 Next up we have the UK Kurobuta Pork Chop ($30) with bacon sauce, apple chutney and parmesan mash. This is one of the best pork chop I have eat. The texture was so soft and tender that I would have easily mistaken it as chicken in a blindfold. The portion was also very generous and affordability priced. The finale has to go to the Prime USDA Ribeye ($45) which is grain fed and dry aged for 28 days. 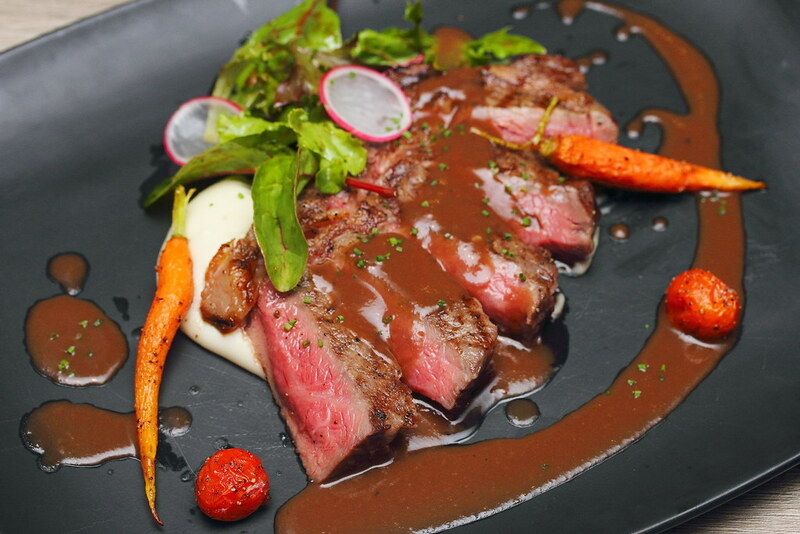 The perfectly cooked pinkish meat is served with parmesan mash, greens, baby carrots and natural jus. When you have a premium piece of meat, there is no need to do anything fancy but just let the natural flavour does its own talking. Ending the dinner on a sweet note was a trio of dessert samplers. 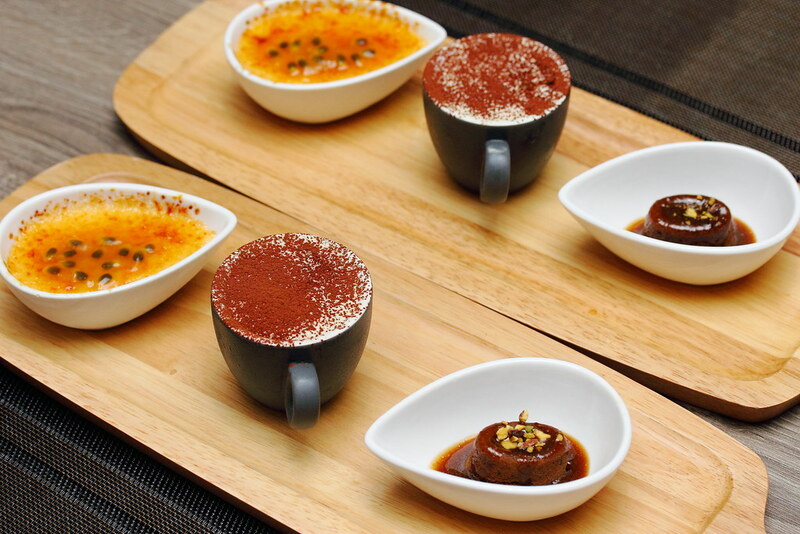 From the left, we had the Creme Brulee, Tiramisu and Sticky Medjool Date Pudding. The desserts were better than I anticipated, especially the sticky medjool date pudding. The warm cakey bake accompanied with the carmel sauce is both warm and comforting. Overall I have to say Oak Room is an unexpected discovery serving above average modern European cuisine. The price may seen a bit steep but this is justified through its quality and portion. It is a bit sad to see the restaurant was empty during our visit. I think they deserved more. I really hope they can get more awareness and business can turn better.